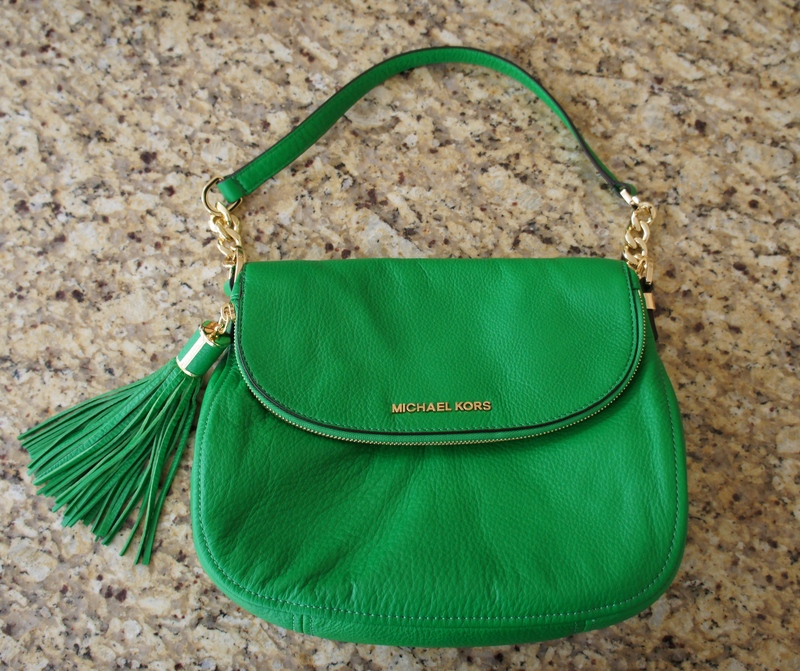 OH HI THERE Michael Kors!! This is a shameless YAY!! but this lady hasn’t had a grown up bag in a LONG time, so I’m delighted to introduce, Bonnie and Clyde. When I was home at the weekend, Mom and I had a girly day together and popped down to Dundrum Town Centre. Dundrum is Ireland’s biggest shopping centre and is pretty much Westfields, but a touch smaller. It has all the big stores like, House of Fraser, Harvey Nichols, Gap, Hamleys, French Connection, L.K. Bennett – the list goes on! But to my delight, they’ve opened a Michael Kors. Well we had to go in didn’t we? T’would be rude not to! And sure didn’t they have a sale on…!? First, I saw the purse, then the bag, I was torn, but on hearing the amazing sale price on both, I was sold within seconds! Both Bonnie and Clyde were coming home with ME! I just love the colour – and the tassel lads, I’ve never been one to wear fringing, but ooh isn’t the tassel fun!?! Also I was in desperate need of a new purse and this one is perfect, it has just the right amount of card space for me (I have so many loyalty cards – when did this happen!!?). The best part of the purse is the fact that it’s a zip closure so it may just be that helpful reminder I need to empty out my receipts!! Guess what else? Hidden inside my brand new bag was another strap so you can turn it into a crossbody bag – JOY!! 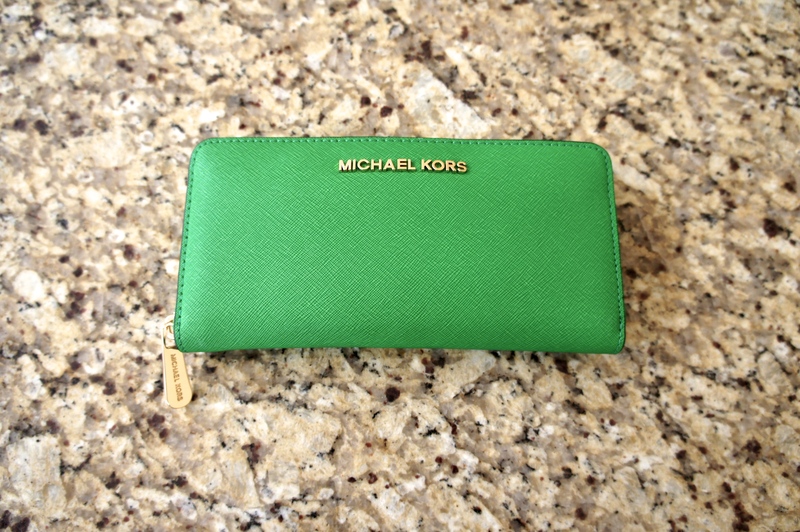 @MichaelKors @victoriabeckham @BritishVogue "These are a few of my favourite things!" Love this bag. I was between this color and black for a different bag and picked black. I’ve been kicking myself ever since. Amazing green.